These brownies are like the best answer ever to a bad day. Immediately after my family left last Friday I got to baking. I always feel sad when they leave, so this time I decided to channel that sadness into something creative. These brownies were the result. I had a great week with my family - my Mum and I did a lot of shopping, got our nails done, spent the day in the city with my Dad's Mum, ate lots of good homecooked meals, saw the fantastic Spanish portraits at the art gallery, saw my brother win an award for one of his artworks and I even got to spend half a day with both my brother and Mum. Sidebar: My brother drew a digital painting which will be displayed in the GOMA (in Brisbane) next year! We're all pretty proud of him for that. So after a great few days and a harrowing weekend of uni work ahead, I knew I needed some chocolate. I had browning bananas calling my name as well, and I was desperately craving some peanut butter. After looking for recipes online I fell in love with two from Sally's Baking Addiction and A Full Measure of Happinness. Neither recipe were really what I wanted. 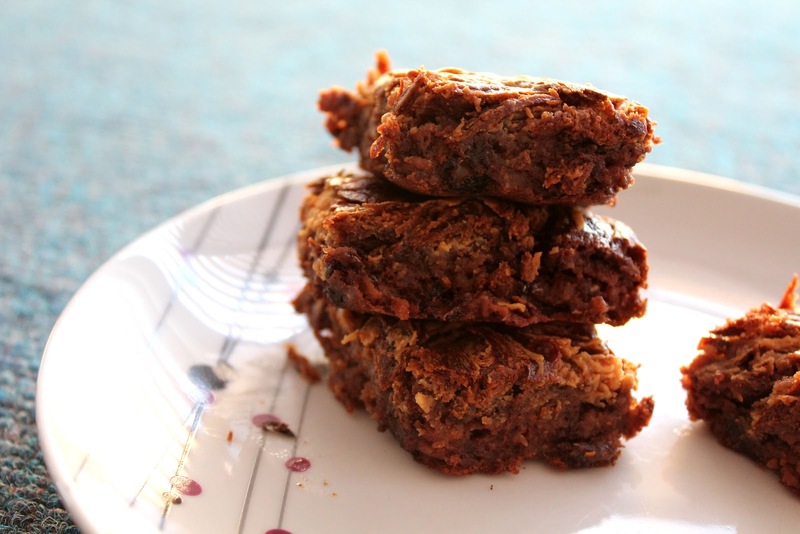 I also wanted to healthify the recipe a bit, because I knew I would be eating a few of these and I wanted a relatively healthy treat to post here. 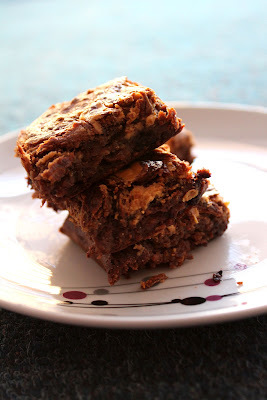 So here you have it: skinny fudgy banana and peanut butter brownies. The title says it all. 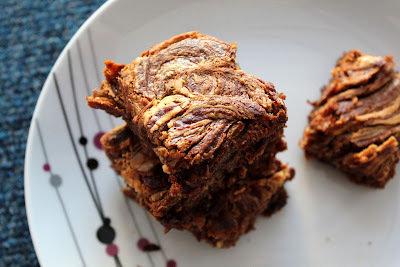 They are relatively healthy without using crazy ingredients and they are fudgy, contain banana and have a cute PB swirl. These babies are moist, chewy and lip-smackingly good. If you're having a bad day, a bad week or even a bad hour, make them. Hell, even if you're not, make them. There is enough chocolate to keep a chocoholic satisfied, there is a sweet, faint taste of banana and there is the ever present taste of peanut butter. 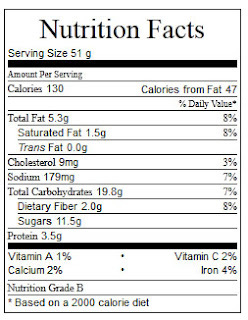 Please read the recipe substitutions below, if you don't have some of the ingredients I used. Level of Difficulty: It’s almost a one-bowl recipe. Nothing too fancy here. Occasion: I swear I will not say anything if you eat them for breakfast. Or for dinner. I did both of them. Recipe Substitutions: When I say cacao powder, I mean it. I do not mean cocoa powder. If you are using cocoa powder that is completely fine, the recipe will still work, but cacao powder is a lot stronger and you may need more cocoa for a stronger, chocolate taste. Please make sure your bananas are very ripe (very brown) as this means a stronger banana taste will shine through the brownies. Use any yoghurt you please – Greek or full-fat yoghurt is usually nice and thick. Make sure it’s plain or vanilla flavoured though. I used a Greek-style yoghurt. Raw honey can be substituted for regular honey, but remember that raw honey is much sweeter and stronger. If you are using regular honey, which is fine, maybe add a little more. I would use my measurements first, and add more honey and not more sugar if it is not sweet enough. For those in Australasia, I used raw Manuka honey – brilliant flavour, very sweet and very strong. 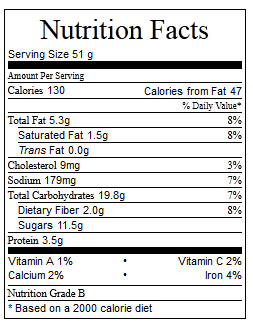 Caloric wise, these brownies without the peanut butter are 97 calories. If you just want a regular banana brownie, then leave out the PB swirl at the end of the recipe and you have a fantastic snack for under 100 calories! Of course this count is merely an estimate as I do not have the skills to determine the proper count. In a large bowl, combine the liquid ingredients (first four ingredients) including the mashed banana. Mix well together with a handheld or stand mixer. Stir the chocolate chips in by hand, with a wooden spoon. Pour the batter into a brownie pan. Melt the peanut butter in a heatproof bowl (or in the measuring cup) in the microwave in 10 second increments until completely melted. Dollop the peanut butter onto the top of the brownie mixture. I put five dollops on – one in each corner and one in the centre. 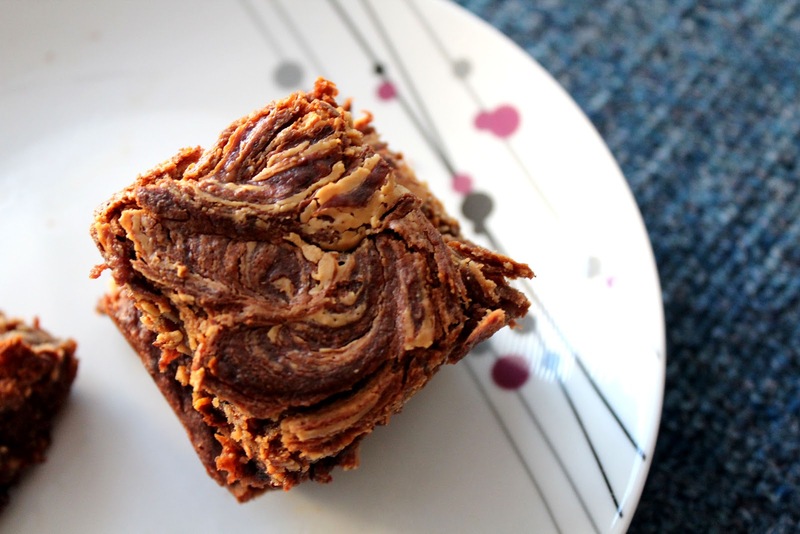 Using a knife, swirl the peanut butter around so it makes a swirled pattern over the top of the brownie mixture. Again, be careful not to overmix. Bake the brownies for 25 – 35 minutes. Allow to cool in pan for about 20 minutes once baked, before transferring to a rack to cool completely. Or cut open and eat immediately. 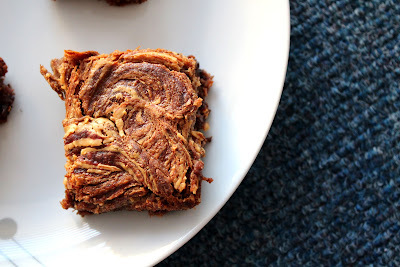 But be careful – if you cut the brownies while hot, the peanut butter swirl may break away from the brownie mix. Bec, you are amazing! I was thinking all weekend that I wanted brownies, but I wanted them to be healthy! I now know what recipe I am going to use! Oh if I had pb2 I would definitely use it :) they don't even taste like healthy brownies! JUST made these!! I had to use semi-sweet bakers chocolate instead of dark and I also used 1/3 c. of honey and omitted the sugar. SO good! Giving these to my brother in college tomorrow! He's skeptical of healthy desserts but this one might surprise him :) Thanks so much!